2013 Visiting Fellowship of the Isaac Newton Institute (INI) for Mathematical Sciences, Cambridge University, UK; INI Program "Mathematics of Liquid Crystals"
2002 conference grant of American Physical Society "Opportunities in Biology for Physicists"
Chair of the Planer-Smoluchowski Soft Matter Workshop (PSSM09), June 22, Lviv, Ukraine: "PSSM-09"
Editorial Board Member of the international journal "Advances in Condensed Matter Physics"
Rachel Won, “Large-scale control,” Nature Photonics 6, 138 (2012): highlight of our PNAS article by A. Martinez et al. 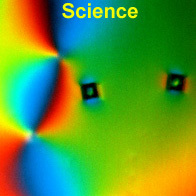 Our Optics Express article “Alignment of high-aspect ratio colloidal gold nanoplatelets in nematic liquid crystals,” was selected for the Journal of Applied Physics 110, 033535 (2011). 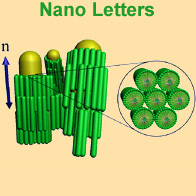 Our research on colloidal self-assembly in liquid crystals is highlighted by the National Science Foundation. 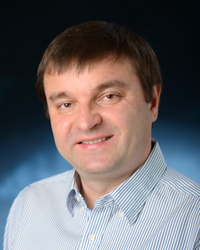 Ingo Dierking, “Editor's interview with Ivan Smalyukh,” Liquid Crystals Today 20, 116 (2011). Elizabeth Skwiot, “ICAM Members Honored by US President Barack Obama for Their Work,” ICAM news, August 2011. “PRESIDENT HONORS OUTSTANDING EARLY-CAREER SCIENTISTS,” White House Press Release, November 5, 2010. 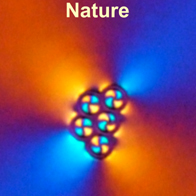 D. J. Broer, “Liquid crystals: Defects dictated,” Nature Materials 9, 99-100 (2010): a News and Views article about our paper published in the same issue [ Nature Materials 9, 139-145 (2010) ]. 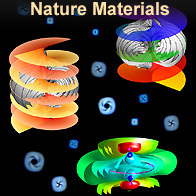 Narture Materials highlight [ Nature Materials 9, 2 (2010). ] about our article [C. Lapointe, T. Mason, and I.I. Smalyukh, Science 326, 1083-1086 (2009) ]. 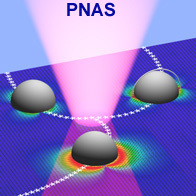 Nature Photonics highlight [ Nature Photonics 4, 66 (2010) ] about our article I.I. Smalyukh et al., Nature Materials 9, 139-145 (2010). “I-CAMP 09 tours China,” by Karie Friedman, ICAM News, October 2009. Our paper on alignment of bacteria is featured in the Virtual Journal of Biological Physics Research. Nature Photonics, October 2008 issue, article by Rachel P.C. Won about the LC2CAM workshop in Boulder organized by Ivan Smalyukh: "View from LC2CAM: Flowing Crystals Glow". An article “Workshop on Light-Controlled Liquid Crystals Provides Shining Example” by By Karie Friedman, ICAMNews, October 2008 issue: "Workshop on Light-Controlled Liquid Crystals Provides Shining Example". Our paper on CARS-PM imaging of LC director structures is featured in the Virtual Journal of Biomedical Optics. Phillip Espinasse, Liquid Crystal Imaging goes 3D, OE Magazine, May 2003, Page 6.